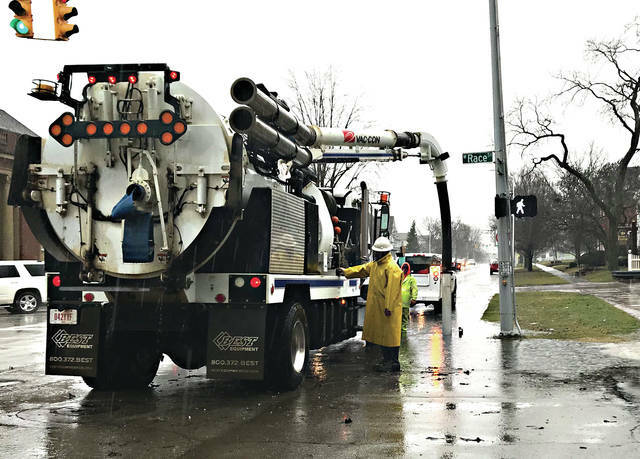 Mike Ullery | Miami Valley Today City of Troy sanitation workers pump water and debris from a storm sewer on South Market St. at Race St. during Thursdays heavy rain. Recent heavy rains combined with melting snow were more than storm sewers and the already saturated ground could take, leading to widespread standing water and flooding. 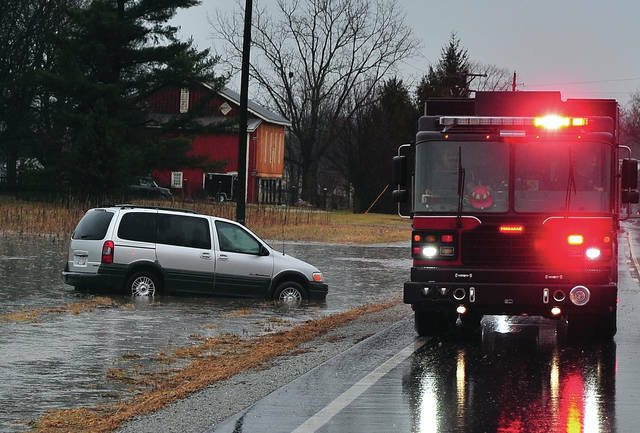 Troy firefighters assisted a motorist stranded in high water on St. Rt. 718 near Barnhart Road on Thursday afternoon. High water covers much of the flood plain and parking areas at Treasure island following Thursday’s rain. 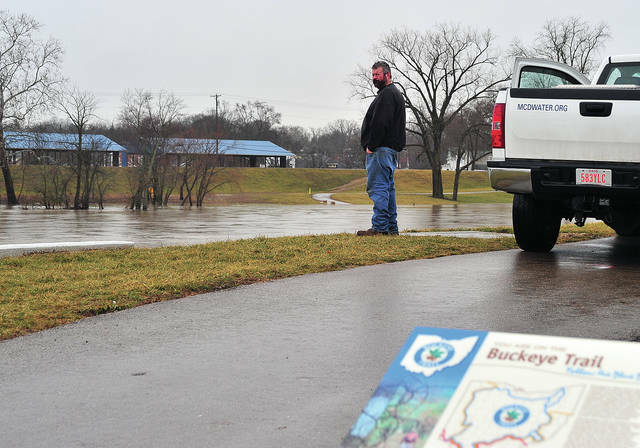 A representative from the Miami Conservancy District monitors the Great Miami River in Troy during Thursday’s rain. City of Troy sanitation workers pump water and debris from a storm sewer on South Market St. at Race St. during Thursdays heavy rain. Recent heavy rains combined with melting snow were more than storm sewers and the already saturated ground could take, leading to widespread standing water and flooding.